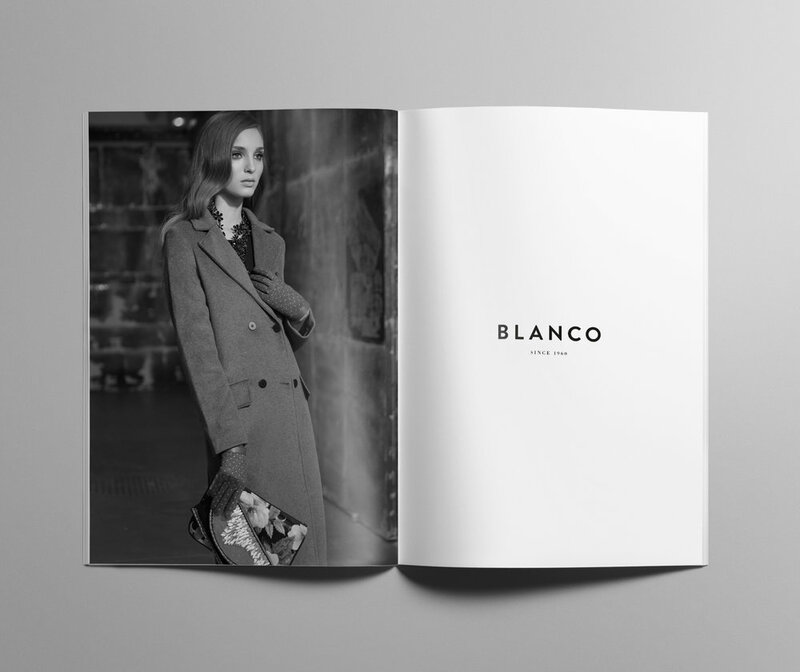 Since 1960 the fashion brand Blanco has gone through different changes in their image. In 2015 we have been honored with the privilege to redesign their identity to focus on a newly more sophisticated and avant-garde target. We have created a new brand identity, influenced by today´s “chic” fashion world. The new logo reflects their hands on experience achieved throughout the years and the uniqueness of their styles. A logotype with authentic reference, solvent typography and cared for spaces nurtured with fineness, precise lines and completed in meticulously selected materials displays this unique, daring and creative spirit. A new identity with a confident look and a strong visual direction.